We've all heard about Christmas in July.... well how about Halloween in December? 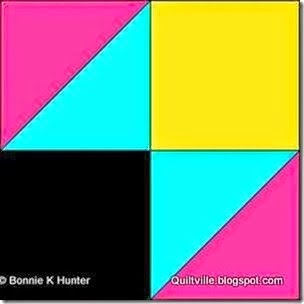 That's the theme for my Bonnie Hunter Grand Illusion Mystery Quilt. Now I know my colors aren't going to match her basis for the Grand Illusion and her visit to the Grand Illusion hotel. 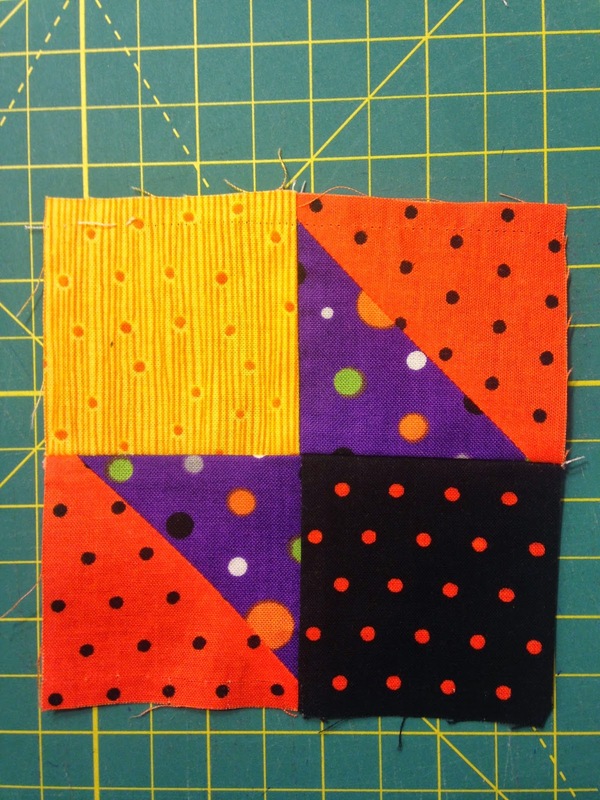 But I don't care, it's my quilt and I wanted a Halloween quilt. The name itself speaks Halloween.... right? I'm keeping most of the colors the same except for 2. For the Pink, I'm subbing Orange and for the Turquoise/Aqua I'm subbing purple. 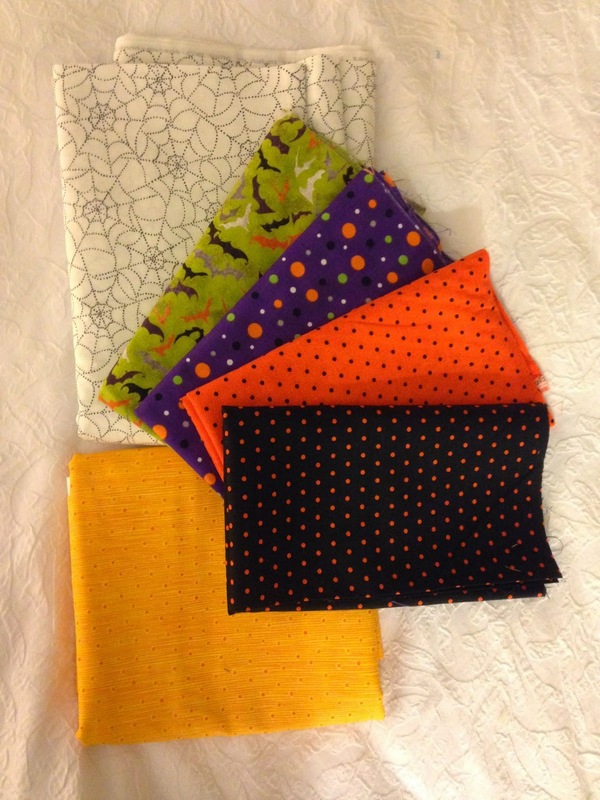 And most of my prints I'm using are Halloween themed fabrics. Of course I didn't have anything Halloween themed with me. What to do... I HAD to go out and buy some. I'm going to make it somewhat scrappy so all of the fabrics will change except for the yellow and the cream/background fabric. When I get home I'll pull from my Halloween stash to change them up a bit. Bonnie will give us a clue each Friday through the New Year's. I know I won't be able to keep up but I'm printing the directions and making a few blocks of each clue so I can go back and finish it later.... maybe by Halloween?! Wouldn't that be ghastly! Here is what Bonnie's clue looks like. You can see her complete directions for this here. Oops! Houston! We have a problem. That is not what my block is suppose to look like. The Grim ripper had to make her lovely appearance; it is Halloween you know. Thankfully I have only made 14 of these units and not the required 100! Now this is what my block looks like and it's correct! Are you playing along with this Grand Illusion Mystery Quilt? I'm off to work on a Christmas Quilt so that I can quilt it when I get home. 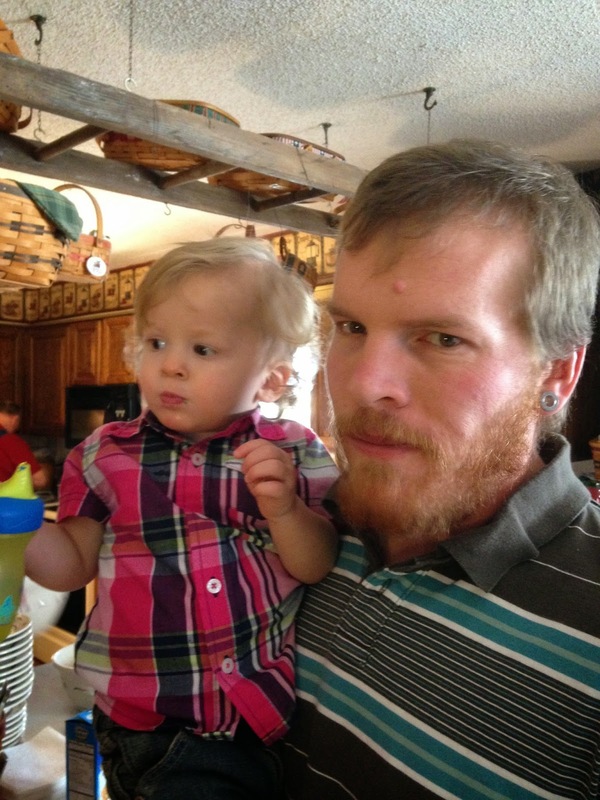 Oh and Happy Happy Birthday to my firstborn Drew Cotten Liles. It's hard to believe 31 years ago today you blessed my life at a mere 3 pounds 7 oz. What a man you have become today. Thats going to be one fun quilt! 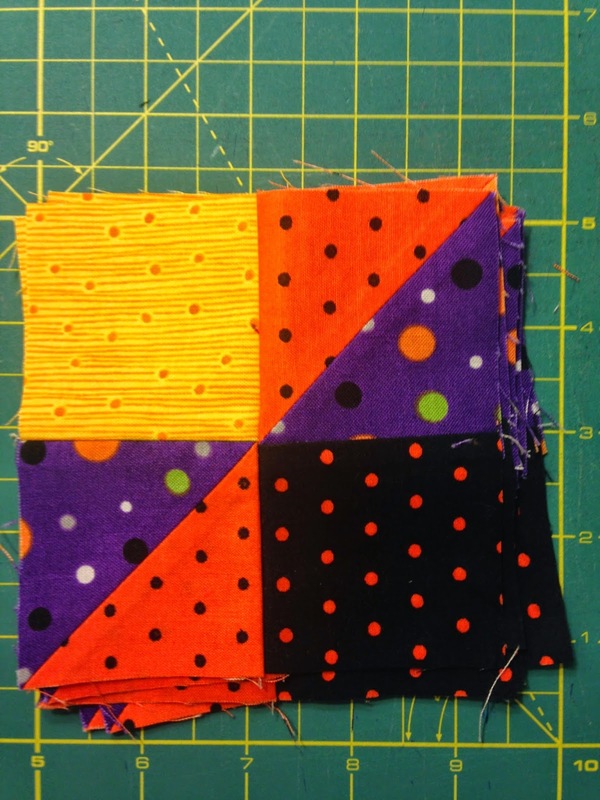 I love Halloween quilts so I can't wait to see it finished.